This is the first time I’ve ever had a manuscript good enough to send out. I’ve written and rewritten my query, I’ve stared my synopsis into submission, and I’ve researched different agents who I think my novel would be a good fit for. Now the only thing left to do is hit that submit button. Except now that the time has come the doubt is creeping in. Is my novel really ready? Do I need to do another read? Should I rework my synopsis? These thoughts are crippling and it is easy to just fall back into editing mode and never send out the manuscript. But you can’t let the fear stop you. You’ll never know if it is good enough until you send it out. So send it out. 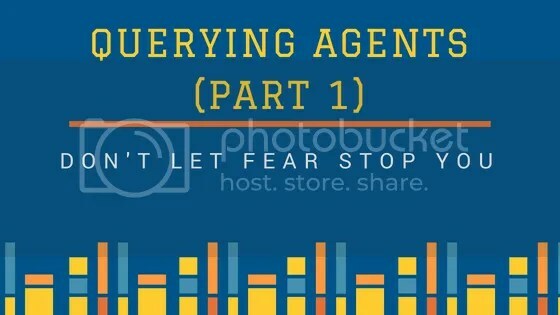 I finally pulled the trigger by sending my query to two agents. Once it was done, I felt so much better. Within a few minutes, I had accomplished one of my big goals of the year. I had submitted to an agent. If I get a rejection or not, it doesn’t matter. Feeling confident enough in your work to send it out is a BIG DEAL. Not many writers get to that point. So I’ll bask the in the glory for now. For those in the same spot, I would recommend not sending your query out to your dream agent first. Query a few test agents, get the nerves out of the way and use any feedback you might get. Once you are feeling more confident you should send it out to that dream agent. I am still in the very early stages of querying. I’m sure in a few months the rejections will get old and my confidence will take a hit, but I’m going to try to hang on to this feeling. Because querying agents is a stage I thought I’d never get to. I hope you all remember that as well! Don’t let fear stop you. That is my motto for this year. I’ll be back to let you all know how the querying process is going and what I’ve learned! If you have any advice feel free to leave a comment! This is really good advice. I’ve been with my agent for years now, but I still remember the anxiety of taking that first step. Good luck!! I wish you all the best.